Since December 2017, with one year funding from the Moondance Foundation, we have been able to employ a Childcare Business Development Officers (CBDOs), once again in each Local Authority, offering support through visits and bespoke one to one business skills sessions. This funding has been essential in developing positive relationships with Out of School Childcare Clubs, many of whom have not received face to face support from a Local Authority Development Officer in a number of years. The Moondance project has provided an opportunity for CBDO’s to build familiarity and trust with the Playworkers, Committees and Managers. The project has identified the challenges that clubs are currently facing; these include sustainability concerns, need for training, and CIW registration support. Additionally, our staff have observed a lack of awareness of governance and liability and a need to move the sector towards a limited liability business structure. 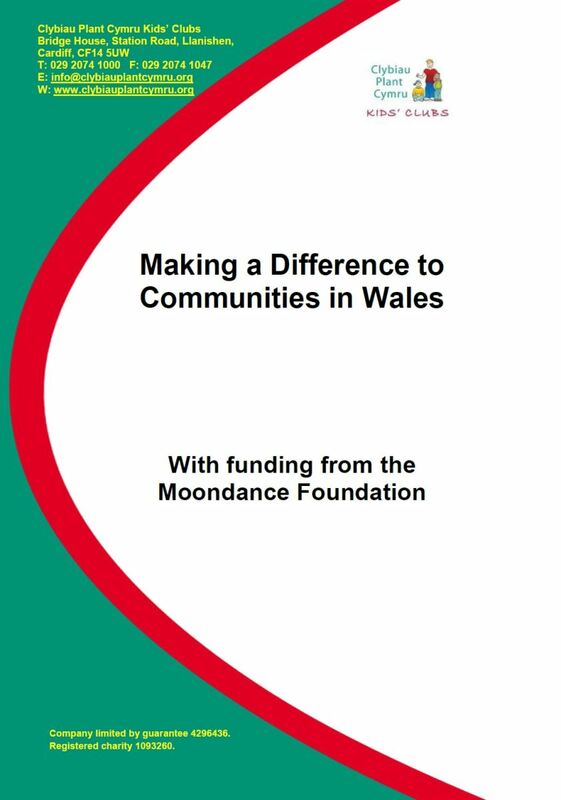 The CBDOs employed through funds from the Moondance Foundation have done an excellent job of supporting the Out of School Childcare sector to date and there are a multitude of examples of how their hard work, passion and support has enabled the development and/or sustainability of quality childcare for local communities across Wales. We have collated a few examples of the impact that these CBDOs, and the funding that has been so gratefully received, has had to date within this booklet.